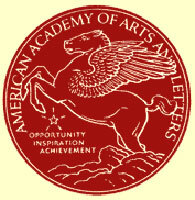 Last night was the American Academy of Arts and Letters‘ annual ceremonial. The venerable organization inducted new members, meted out awards, and exhibited newly acquired artwork. Among the honorees were many familiar names from the architecture world. Henry Cobb, a long-standing member of the Academy, presented the Arnold W. Brunner Memorial Prize in Architecture to Michael van Valkenburgh—only the second time in history that the prestigious prize has been given to a landscape architect (Dan Kiley was the other, in 1995). The Academy also inducted Thom Mayne of Morphosis into its membership, citing the convention-defying nature of the controversial architect’s work as reason for his worthiness. The Academy also inducted two honorary foreign members, both of them architects: Fumihiko Maki, who needs no introduction, and Alvaro Siza, a Portuguese architect who won the Pritzker Prize in 1992, which incidentally was the year before Maki won the coveted award. Of course, many more awards were given, to artists, musicians, writers. Some of these honorees and their related presenters found it prudent to also offer a bit of a speech to those assembled, either in expression of gratitude or as an occasion for social commentary. But nary an architect parted his or her lips at the podium, whether by request of the Academy or out of demureness from having to share the stage with such eloquent speakers as Garrison Keillor, Hal Holbrook, and Calvin Trillin we can’t be certain. Perhaps, though, we should be grateful. Anecdotally, perhaps the most rousing speech of the afternoon was given by Bill Moyers in acceptance of the Award for Distinguished Service to the Arts. He thanked the Academy for recognizing the importance of journalism both as an art form and as a powerful force in support of the arts. What is worth retelling here is that the award he accepted was first given in 1941 to none other than Robert Moses. Humorously, Robert Caro—author of The Power Broker, the definitive biography of Moses—who presented the award had no idea that the “master builder” was ever given the laurel. Aha ha ha.